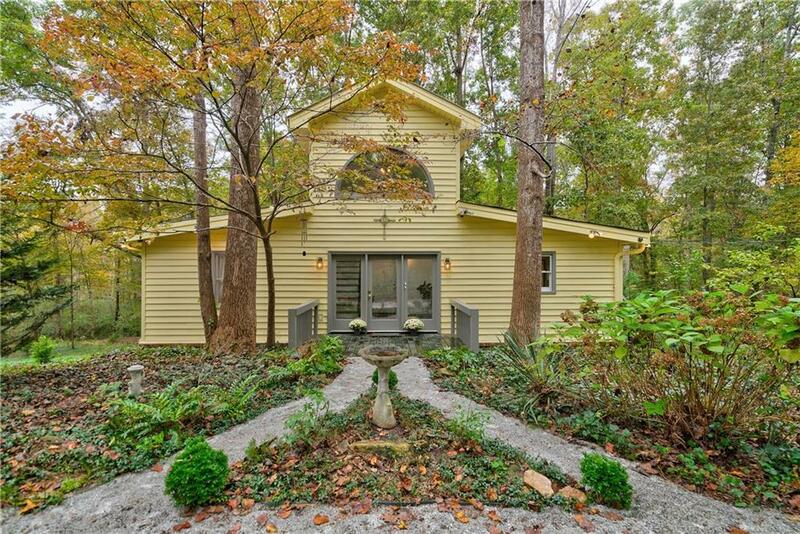 Rare opportunity to enjoy a 17 acre property with precious 2 bedroom, 2 bath home with light-filled loft for art studio or office, updated kitchen, and freshly painted interior. Flag shaped lot offering incredible privacy, three pastures, barn and hardwoods in an idyllic setting with no comparison - now under $300K! Incredibly private, yet not isolated. Minutes to a nice Publix and restaurants, and located just off the road that leads to the monastery! Close to bike paths, and a short horseback ride to world renowned Linda's Riding School! See video! Directions: I-20 To Sigman Road, Then Use Gps. Just Off Highway 212.